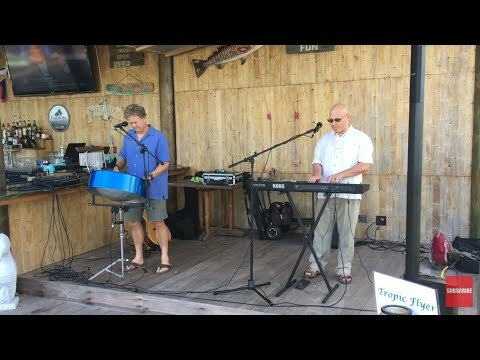 Feel good steel drum and variety music island style! Mitch arrived early and set-up as planned near the boardwalk for our wedding at Sanders Beach Corrine Jones Center., Pensacola, FL. Everybody told us how much they enjoyed the music which he played prior to the wedding and also the processional for the bride and groom. Would highly recommend Mitch. Mitch did a wonderful job for our opening welcome reception entertainment. He was very professional and great to work with. He played a great variety of music that all the guests enjoyed! Jill thank you so much for the review! You were so easy to work with and your group was so enjoyable to play for.. I hope you’ll come back to The Henderson soon! Mitch was relaxed and easy to schedule. He was accommodating with setting up, allowing toasts, etc. Great music that really set the tone. Wonderful experience. Thank you Beth, you all were a pleasure to play for. Congratulations!